"; // var secondpopup = "
"; // var forthpopup = "
"; // var sorrypopup = "
this song is not available with your network. 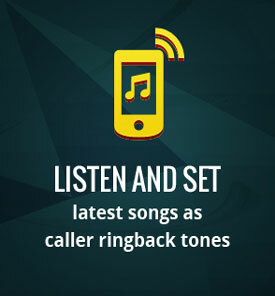 "; // var thirdpopup = "
The above song is now set as your Caller Tune. "; // var Nooperaterpopup = "
Your operator is not integrated with us. "; // var firstpopupdownload = "
"; // var secondpopupdownload = "
"; // var forthpopupdownload = "
"; // var sorrypopupdownload = "
"; // var thirdpopupdownload = "
"; // var Nooperaterpopupdownload = "
"; var firstpopup = "
"; var secondpopup = "
"; var forthpopup = "
"; var sorrypopup = "
"; var thirdpopupold = "
"; var thirdpopup = "
Your Call Me Tune service activation has been processed. You will receive confirmation message shortly. "; var Nooperaterpopup = "
"; var firstpopupdownload = "
"; var secondpopupdownload = "
"; var forthpopupdownload = "
"; var sorrypopupdownload = "
"; var thirdpopupdownloadold = "
"; var thirdpopupdownload = "
The above song link is now send to your number to download song. "; var Nooperaterpopupdownload = "
"; var firstwallpaperdownload = "
"; var secondwallpaperdownload = "
"; var dpopupdownloadoldlink = "
Shortly you will get a sms with a caller tune link on your handset. "; var popupdownloadoldconfirmation = "
Shortly you will get a confirmation sms to get this song.